Harry, Heromine & the rest of the Harry Potter world can be found here! Wands, Broom Sticks, Ties, Glasses, Cloakes & maybe you’ll even find the Golden Snitch. Gryffindor, Hufflepuff, Syltherine and Ravenclaw all the teams are here. Official & Licesnsed Harry Potter Costumes & Accessories. 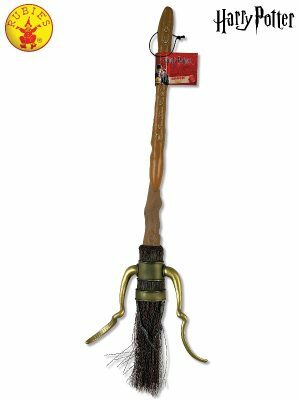 Harry Potter Deluxe Wand -Lights Up!